The legal team at the Foley Law Firm has helped countless auto accident victims in and around Scranton, helping them put their lives back in order and hold negligent parties accountable. This kind of dedicated and diligent legal representation is especially important for lawsuits that involve injury motorcycle accidents. Motorcyclists run major risks when they are on the road. Since they are more exposed than other motorists, it should come as no surprise that they suffer from more serious injuries than many other drivers and passengers. This is why safety is so important when on a motorcycle, as well as a diligence when reading the road and other drivers near you. While a helmet will help reduce the damage done to your face and head, it can only do so much in certain cases. Given, a helmet can save your life, but in serious accidents in which a motorcyclist suffers a major blow to the head, it's possible for accident victims to suffer from severe head trauma and brain injuries even if they have a helmet on. One of the most well-known kinds of motorcyclist injuries, road rash refers to the cuts and scrapes that a motorcyclist experiences from sliding across the asphalt or pavement following a collision/accident. Any exposed skin may be cut or scraped, and the injuries can be severe and affect large portions of the body. When falling, we instinctually reach out with our hands to help lessen the impact. While this can help prevent major injuries to the face and head, it does result in injury to the arms. Biker's arm is what happens when the nerves of the arm are affected by the attempt to prevent a full impact. These sorts of injuries can result in permanent nerve damage along the arm and even the upper body. If you're thrown from your motorcycle, the violence of the moment and force generated by the collision is likely to result in broken bones and sprained joints. The matters can be made much worse depending on how the motorcyclist falls and the nature of their accident. Apart from brain injury and head trauma, the threat of spinal cord damage is perhaps the greatest danger for people who ride motorcycles. 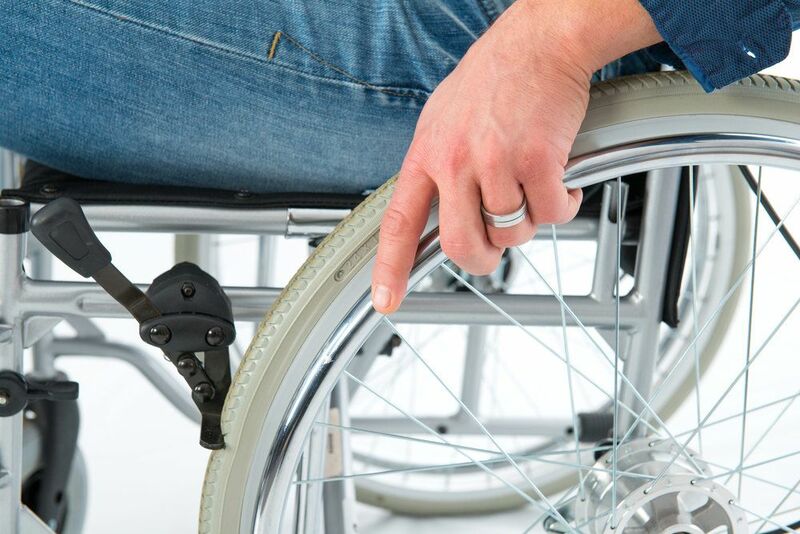 Catastrophic injuries to the spinal cord can result in paraplegia or quadriplegia, rendering an accident victim paralyzed and confined to a wheelchair for the rest of their lives. In addition, be sure to abide by all posted speed limits and road signs, and to be attentive and aware as you drive. This advice can save your life. For more information about your legal options following a serious motorcycle accident or motor vehicle collision, it's important that you contact our personal injury attorneys today. The legal team at Foley Law Firm will help you in your time of legal need.